Everything was a dialogue: between idioms, between players, between virtuosity and heart. 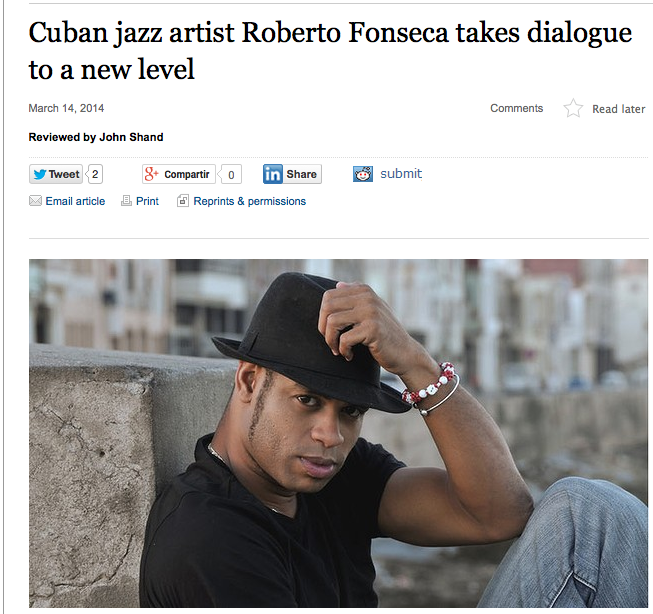 The reward for a nightmare trip into town following the fire at Barangaroo was hearing one of the great bands, Roberto Fonseca's quintet having few peers for scope, power, beauty and cohesion. Often Fonseca added another layer of dialogue: between live playing and recorded samples, the latter always used intelligently. Read full review at The Morning Herald.